The relationship between El Paso, Texas and Juarez, Mexico starkly contrasts rhetoric from certain U.S. politicians about border security concerns. In 2014, El Paso was ranked the safest city in America for the fourth consecutive year, compiled from crime rates for U.S. cities with over 500,000 residents. Tens of thousands of people cross the border in both directions daily to see friends and family, go to school, work and shop – boosting El Paso’s economy by hundreds of millions of dollars annually, according to the Sabér Research Institute. But the commerce this transnational flow brings into El Paso fades further each month, exacerbated by the deflating peso. In July 2015, $16.33 pesos equaled $1 U.S. but by January 2017, the exchange rate had shot up to $19.10 to $1 U.S. Today, the equivalent of $1 U.S. has hit $20 pesos. This has heavily discouraged Mexican nationals from spending in the U.S., where their purchasing power is severely diminished. 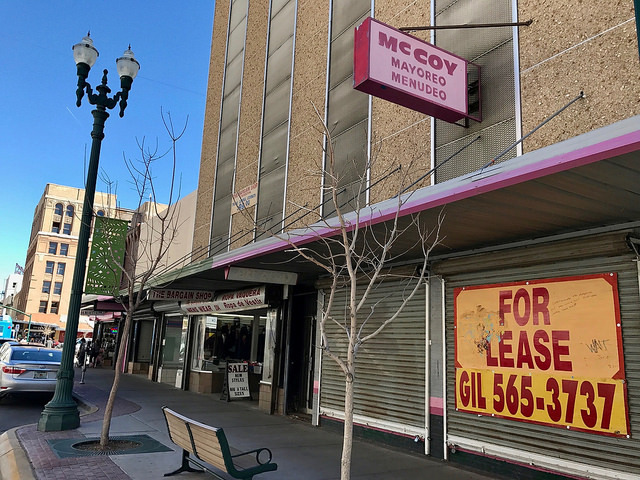 Downtown El Paso, a retail business-based area highly dependent on Mexican patronage, is now facing an economic crisis. When walking through the area, a few minutes from the U.S./Mexico border, it’s impossible to miss the seemingly countless shuttered storefronts and “For Rent” signs. 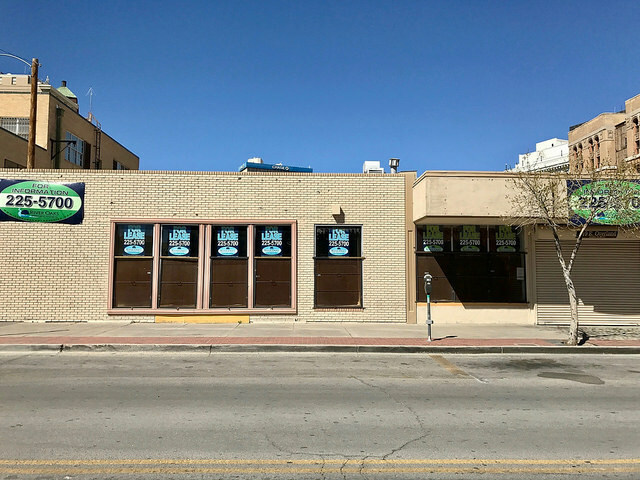 The District Director of El Paso’s Small Business Administration, Phillip Silva, is highly concerned. 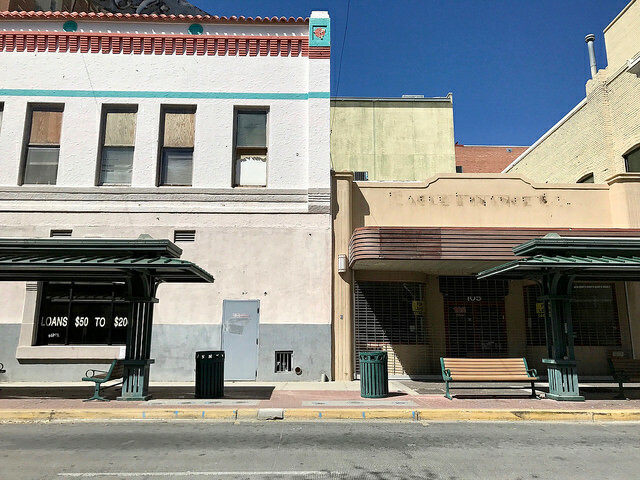 Many merchants and business owners in downtown El Paso not only share the fear. They don’t know how to continue. As business owners feel this peso pain, they must still make fixed lease payments in U.S. dollars. Han C. Park, a downtown El Paso business owner who runs the electronics store Boston Electronics Company, is also struggling to remain afloat after 29 years of business. He believes this current peso devaluation could hit the area’s retail businesses harder than in the past because of Mexico’s increased free trade and the mainstream adoption of e-commerce purchasing. He said business has never been so slow. Around the corner from Park, Laurie Knipp runs the gift shop Angels Via Michael, and she doesn’t have a more optimistic story to tell. Her store’s primary product is angel figurines, popular among El Paso’s Catholic community. She chuckled at the irony of being a Jew who owns the city’s primary carrier of this product, but discussing her business woes instantly evaporated the humor. 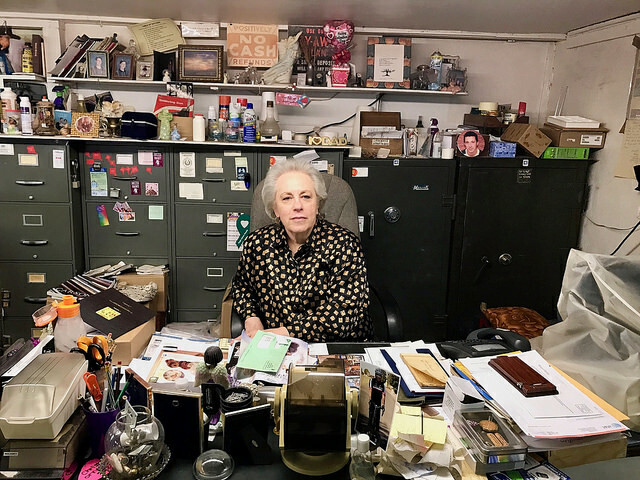 Knipp has lived in El Paso all her life, inheriting her store – which has been in business for 60 years – from her father. Much of Donald Trump’s presidential campaign rhetoric focused on taking a hardline stance on undocumented immigration, rethinking trade agreements with Mexico and moving facilities of American businesses from Mexico to the U.S. This caused major economic nervousness and uncertainty throughout Mexico. The peso’s value relative to the U.S. dollar significantly decreased during this time, fell further when Mr. Trump won the election, and further still now that he seems to plan on following through with his campaign promises. Ashby is particularly concerned about how Trump’s proposal of a 20 percent tariff on Mexican imports will damage El Paso’s economy and that of other border areas. If the tariff is initiated, he believes it will directly extinguish many jobs on the border dedicated to commerce with Mexico.